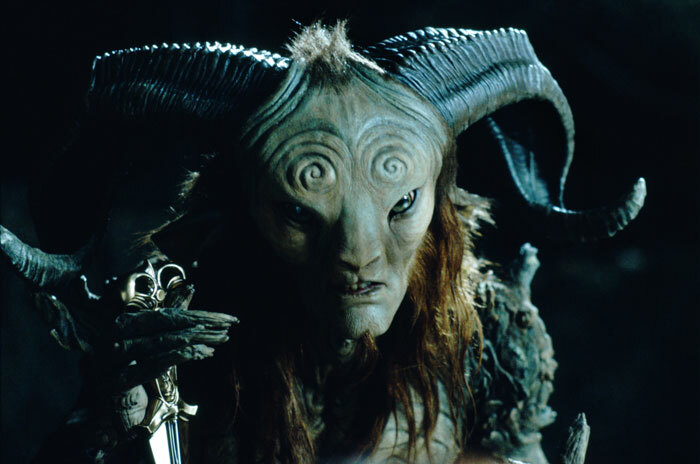 "'Pan's Labyrinth' is the best movie of 2006. Right? Of course I'm right!" The interest and the function of a list depends entirely on what the author decides to do with it and how well he or she explains that decision. This requires perspective: an awareness of what such a project can reasonably accomplish and what its significance in the larger film world is. It requires, for instance, a discussion of the films from the previous year that the critic saw in relation to the films that he or she missed. It definitely requires a discussion, as opposed to merely descriptions. Couldn't agree more. When I was a full-time daily newspaper film critic, first in Seattle and then in LA, I saw virtually everything that was released (even stuff I didn't review), which sometimes amounted to 200+ movies a year. These days, when I'm asked to do a Ten Best list, I always feel like I haven't done my homework, because there's just no way I can see even the stuff I think might be ten-best-worthy -- which means I'm not likely to belatedly discover any surprises I haven't already come across earlier in the year because I'm so busy cramming during the overloaded November-December movie season, including watching DVD releases and screeners from previous months' releases. (How the hell did I ever do this in the years before home video, I wonder?) And I always try to provide a list of movies I haven't seen -- particularly when I've noticed they've been prized by critics and friends. But we should acknowledge that there's inevitably an element of serendipity at work in anybody's movie year -- above and beyond the choices made by international distribution and local exhibition companies. Would I have seen Ramin Bahrani's "Man Push Cart" if I hadn't been introduced to it at Roger Ebert's Overlooked Film Festival in May? Would I have come to value Doug Block's "51 Birch Street" so highly if I hadn't seen it at the Toronto Film Festival in 2005, presented it at the 2006 Floating Film Festival, and then reviewed it for the Chicago Sun-Times more than a year after I'd first encountered it? Would I have chanced upon Neil Marshall's "The Descent" if Roger hadn't suffered complications from his surgery this summer and a friend (who'd watched the British DVD release) hadn't suggested it was worth seeing when the Sun-Times was looking for reviews? Would I have overcome my resistance to seeing "Flags of Our Fathers" (those artsy monochromatic images in the trailer and TV spots really turned me off) if I hadn't felt I needed to see it before making a ten best list? I have no way of knowing. To me, a ten best list is like a personality inventory -- a rough sketch of who I was (and what mattered to me most) during a particular year. (I used to participate in critics' polls for music, too, but that's even more overwhelming.) Reviews of new releases (written on deadline) have their limitations as film criticism, and so do lists, as Andy smartly details, but at their best they can be creative and illuminating and thoughtful -- almost like critical haiku. This year, I'll be doing at least three such lists, with different sets of criteria set by the editors: for MSN Movies, for the LA Weekly critics' poll, and for myself, here at Scanners. Most of the lists will overlap, but I hope readers will find intriguing discoveries within them. 1) They force a critic to try (usually in vain) to summarize what he/she values in each movie on the list. That can make for a worthy -- if almost impossibly difficult -- writing challenge, for those who attempt to rise to it. 2) They pique readers' interest in films they haven't seen, didn't want to see (boy, was I wrong about "Flags of Our Fathers" -- more on that later), or didn't like. Of course, that depends on how open a reader is to being persuaded, but my hope is that putting a title on my list will help some people make some exciting discoveries they might otherwise have missed. 3) They're a handy way to evaluate the critic (even more than the year -- which is an arbitrary consideration, anyway). Looking at somebody's list can tell you something about a person's taste and values -- not unlike looking at somebody's recent book, DVD, or music purchases. I don't know about you, but those are the first things I check out when I go to somebody's home for the first time. I dare say it's at least as revealing (to me) as rummaging through their medicine cabinet or underwear drawer -- and far more socially acceptable. Yes, these lists are doomed, limited enterprises. And the number ten is almost arbitrary, although there are probably solid reasons we tend to think in groups of ten -- reasons that have as much to do with Darwinian development (ten fingers -- handy for counting!) as they do with our Arabic numeral system (where would we be without the introduction of the symbol for zero?). As enthusiasms wax and wane, you catch up with older movies from previous years, or you revisit movies you've listed and found them better, worse or different than you thought they were when you made your list, you may be tempted to revise your rankings. But that's just part of the game (and it is just a game). A ten best list is simply a snapshot of what you've seen out of what was released in your area during a calendar year, and what you've found worthwhile at the time you make the list. That's about it.